I mentioned in my other blog in July that I had submitted a book pitch to a publisher. I was really excited. So far there has been no reply. Their web site says they will acknowledge receipt immediately and then give a decision in 3-4 weeks. When I heard nothing after a month, I resubmitted. I’ve still not had an acknowledgement. Excitement dissipated. I’m telling myself maybe it’s holiday time. I’m trying to be patient. In the mean time, I’ve realised that the book pitch has worked on me! I think the book is definitely a good idea, so I’m going to write it anyway, and produce an ebook. In my previous post, I didn’t reveal the details, but now I want to tell you about it. This post just appeared on my other blog, because it's about writing, but I'm repeating it on this blog, because the new book is another medieval history book. Any comments would be a great help. Let me know what you think. 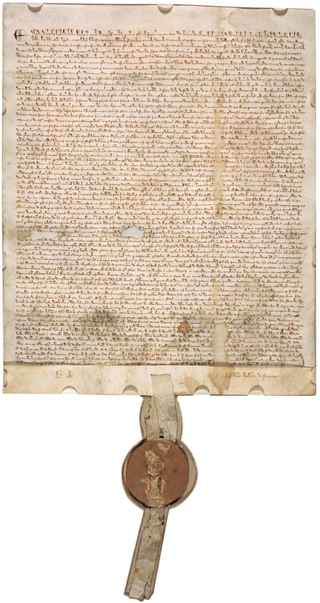 June 15th 2015 is the 800th anniversary of Magna Carta. Any place that can lay claim to a connection to the occasion is organising events. There will be UK wide events to celebrate this anniversary, preparations are already being advertised in the press. 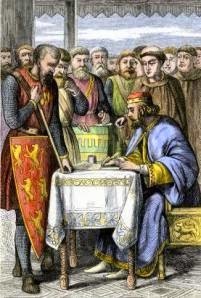 There is also a market outside the UK, as Magna Carta was the foundation of many nations’ constitutions and legal systems worldwide, such as the United States Constitution, the Canadian Charter of Rights and throughout the Commonwealth. Both of my stories from medieval Gower are written in an easy, accessible style, with line drawing illustrations. They also have endnotes and a bibliography for academic robustness. I plan for the new book to be the same. The only differences are there will not be a print version, unless a publisher wants to take it up, and I have not yet spoken to my illustrator. I’m off on holiday soon, so I’ll see if I get a reply by the time I get back. Watch this space!